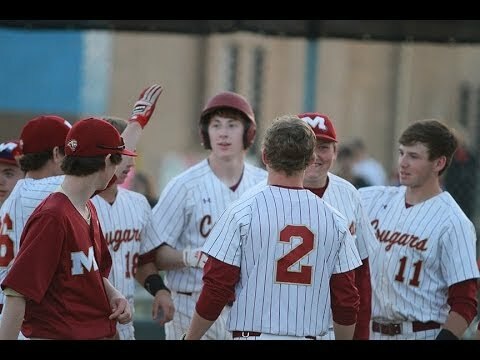 The Munford Cougars welcomed the Bolton Wildcats for a Region 7-3A match up April 1 at the Munford Baseball Field. The Wildcats jumped out to an early 4-0 lead in the second inning. But the Cougars cut that deficit in half with one swing of Ty Gillespie’s bat in the bottom half of the inning. Then the Wildcats settled down and closed out the night with four more runs including a homer from Dustin Looker to win 8-2. Head Coach Chris Godwin’s Wildcat club broke the scoreless tie scoring on an error. Then Bolton’s Malik Herndon drove in a run with a single. The big blow of the Wildcats’ second inning came off the bat of Luke Langley with a triple scoring two runners. Munford rallied in the bottom of the second starting with Craig Caleb reaching base. The next batter to the plate was senior Gillespie. With Head Coach Jason Johnson shouting from the third base line, ‘Find something you can drive,’ Gillespie did just that smoothly stroking the ball over the left-centerfield fence to make the tally 4-2. The contest went scoreless until Bolton added a run in the fifth inning. The Wildcats added some more insurance in the sixth inning when Barrett Taylor hit a two-run double to score teammates Herndon and his brother Martel. The final score became 8-2 when Looker went deep in the seventh inning.